Lei XU is a technical manager with the Association of Chartered Certified Accountants (ACCA) based in Sydney. Lei is responsible for implementing ACCA’s policy agenda to improve ACCA’s influence in region, contributing to ACCA’s global research programme, monitoring technical policy matters affecting the accountancy profession in region, and developing the technical programme on these issues for ACCA members in Australia and New Zealand. She has initiated and managed projects to promote ACCA’s thought leadership and regularly represented ACCA on various events. 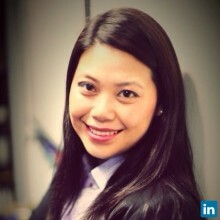 Prior to joining ACCA in Shanghai in 2005, Lei worked as a senior accounting consultant in Mazars. Earlier she worked and trained with a local tax consulting firm till she gained the partnership. Lei is a fully qualified ACCA member and a practising member of China Certified Tax Agents Association. She has an MSc from the University of Stirling (UK) and a BSc from Jiangsu University (China). Currently Lei is taking MBA(executive) programme at AGSM.